I have pre-season training on my mind. I am very, very competitive. When I played, I drew comfort from the knowledge that I had another game to put right any mistakes that I had made in the previous game. I would ask questions of whoever had watched the game, perhaps selfishly trying to receive an honest opinion on my performance. 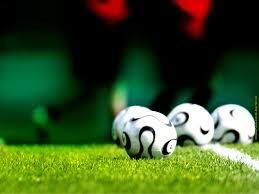 ​ I would re-live missed opportunities, poor passes or incorrect positioning. ​ My game gradually improved as I scrutinized myself more. My speed of thought was generally superior to opponents who were physically faster than me. I worked on my speed so that I was faster than the players who were technically better than me. I began winning more psychological battles which helped me recognise and anticipate firmiliar pictures. Instances which I had seen in previous games allowed me to make better decisions. I also worked harder to improve my fitness. I will soon be experiencing my 23rd pre-season. Similar to when I was a player, I see pictures in pre-season training which I have seen before. Depending on what level of the game that the players are operating on, or working towards. Maybe that is the most influential factor. What are our players working towards? ​Some players just have other things on their minds. Although they have made the effort to travel to football training, their minds are pre-occupied with socialising. I have said to one player in particular, not to be afraid of how good she can be. Tweet, Ping, Text and Facebook when you are NOT at training (other forms of communication are, of course, available). This is a signal of intent as to how we will approach our season. Loss of form, injuries, forced breaks, and other issues which have nothing to do with the game but still seem to have an affect on our performance. I am pretty confident that almost everything counts to how we approach our season. ​​Pre-season training still makes me nervous. Our game demands that we are in shape, physically and mentally. I have always believed that pre-season training can ‘find’ some players out. As early as pre-season training, some players have already lost their personal battle. This article was published in Total Football magazine.